What comes to mind when you think of “learning”? Maybe images of classrooms with teachers standing in front of a blackboard, quizzing students. Maybe you think of worksheets and homework. While these are certainly ways we can learn, they are not the only ways to learn. We also learn by doing, exploring, and innovating. This is especially true for young children. Preschoolers, toddlers, and infants are always learning, even when we aren’t actively teaching them. They learn through experiences, picking up new knowledge and insight while they spin in circles, finger paint, or sample the dirt outside. Those are the parts of learning that are the most fun and rewarding: the discoveries we make when we are allowed to be silly and not worry about an end goal. That is the philosophy of Carole Dibble and Kathy Lee’s book 101 Easy, Wacky, Crazy Activities for Young Children. 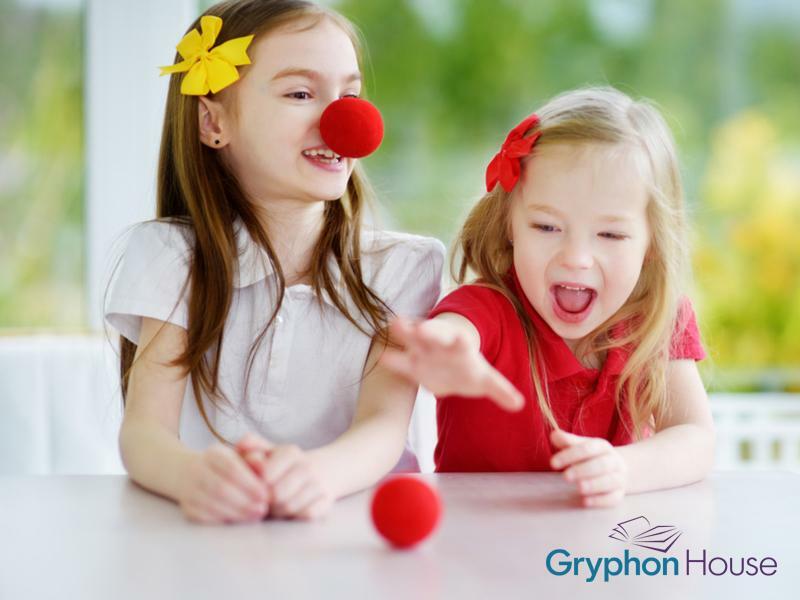 They believe that learning should be something that comes naturally when children are allowed to be their whimsical, goofy selves. Here are some of their tips for how to supplement schoolwork with silliness. 1. Plan “just because” activities. Even creative classroom activities typically have a goal in mind: “Can you name the colors in your painting? Can you count how many of them you used? Describe what you painted, tell me the story.” All of these are valuable lessons, but sometimes a painting can just be a painting. Look for some activities your children can do that are just plain fun. Maybe that’s making bubbles in the sink with soap flakes or letting all the children finger paint on one giant piece of paper. Anything that keeps them engaged is a learning experience in and of itself. 2. Be illogical and do the unexpected. Young children are very aware of the patterns that make up their day to day lives. Sometimes changing those patterns lets them look at things from a different perspective. It can also mean an exciting break from the everyday schedule! Try having children dye Easter eggs in September or make breakfast foods for lunch. These simple little illogical moments are great fun and invite children to think critically about their world. 3. Let the children direct their own lesson. Usually, at the beginning of a lesson, the teacher may say, “Today we’re going to learn about counting,” or “We’re going to learn about the weather.” This tells the children what to think about while doing the activity. But encouraging children to do the activity first and ask the questions can be equally enriching. You’ll be amazed at how much they discover on their own without being told what to do first. The connections they make will help them remember the activity and the corresponding lesson. After all, connections are the most effective way to learn.